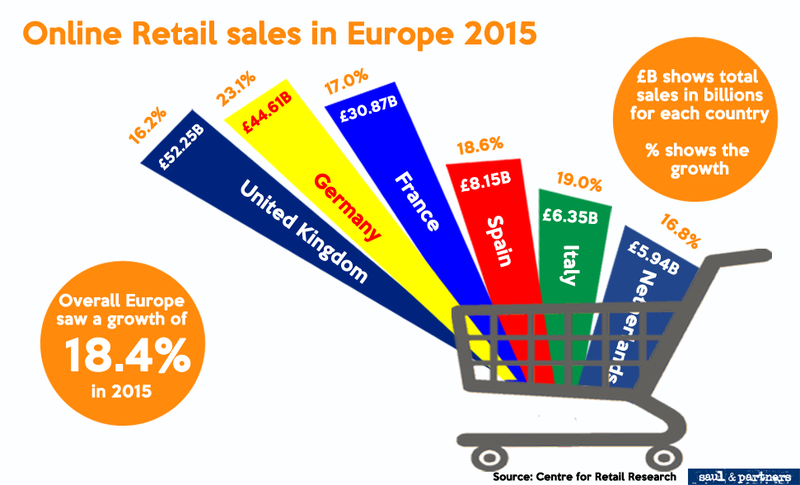 This short graphic shows the total sales (in billions) for each country in Europe in 2015 and also the growth they’ve had since 2014. The centre for retail research found that the recession had forced many shoppers to buy online rather than from traditional stores, whilst above-average growth in countries with smaller e-commerce sectors showed there had been an element of catch up. Retail focuses on the growing use of mobile technology as an additional factor in making online retailing attractive and convenient.